BitterSweet’s selection of women’s clothing brands varies from classic to trendy, boho to edgy and everything in between! The women’s clothing pieces at BitterSweet are made beautifully with care and intention of quality material that belong in your closet. Whether you’re a vintage graphic tee and denims type of gal or a cropped top and mini skirt type, or maybe even both, BitterSweet has the perfect pieces for both your dressed up and dressed down look! BitterSweet’s soft knitted sweaters are perfect for colder days in the winter, and can be easily paired with our any of our favorite denim jeans from high-rise to flare to straight leg jeans from some of our favorite brands like Amuse Society, DL 1961, One Teaspoon and Free People. If you’re more of a boho chic style gal, throw on a sweater over a cute flowy dress for an easy cute and stylish outfit! On colder nights, stay cute and warm by layering up with a trendy teddy jacket from Somedays Lovin or one of Amuse Society’s cozy faux fur jackets! 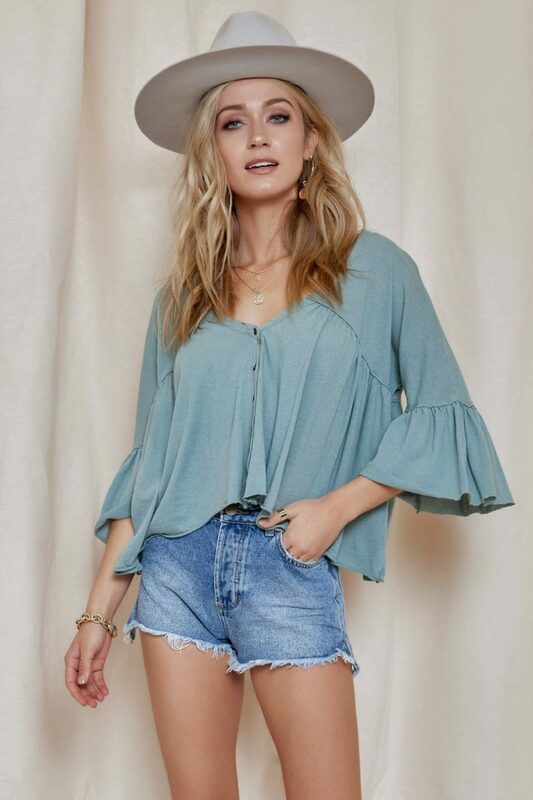 Furthermore, shop BitterSweet’s classic chic and boho tops that come in whatever colors, styles, and silhouettes you are looking for! Add a level of elegance and simplicity to your more classic style by wearing BitterSweet’s fun and flirty jumpsuits, linen dresses in classic bohemian silhouettes, or simple laid-back button shirts or vintage tees. BitterSweet’s bohemian style clothing and edgy and trendy vibes scream California cool mixed with New York City chic and will definitely keep you looking like the fabulous women that you are! Whatever type of fashionista you are, you’ll be able to shop BitterSweet’s boho chic and trendy collection of clothing and find the perfect pieces to put on the perfect outfit that matches your style and vibe. If you’re a minimal style type of girl and absolutely love wearing anything black, white or neutral, or if you’re more of an eccentric gal who loves to show off your fun personality and style, you’re at the right place! BitterSweet offers clothing of many styles and vibes from classic cool girl to bohemian chic goddess! Shop our selection of the softest turtlenecks, cropped or classic sweaters, our edgiest tops with knot ties, ruffles, or front hook detailing, our classic chic tops in different sleeve lengths and designs, boho dresses for both casual and fancy nights, and so much more! BitterSweet offers a vary of chic, clean pieces that you will instantly fall in love with. Our boho chic clothing is a mix of simply stunning, comfortable, easy to wear, and not to mention, head turning! Mix our bohemian fashion of womens boho chic clothing with your kickass twist and personality and we’ve got the perfect recipe! With BitterSweet’s extensive collection of blouses, crop tops, long sleeve, short sleeve, tank tops and t-shirts, you’ll find the perfect top that compliments your style, fits and flatters your figure. 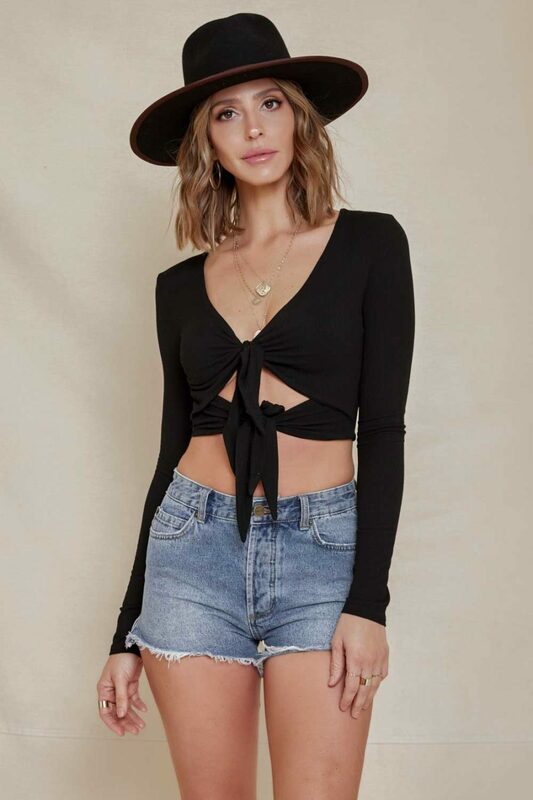 Furthermore, BitterSweet clothing is always great quality from our favorite brands such as Free People, Amuse Society, Sage the Label, For Love and Lemons, Somedays Lovin and much more! With our extensive collection of tops, we hope that you will find the perfect one for every occasion. Finding that perfect piece that is both figure flattering and comfortable while still keeping up with today’s trends a twist of a boho, chic, and classic is a definite win! With BitterSweet’s extensive bottoms collection of pants, leggings, shorts, or skirts, we’re sure you’ll find the perfect piece to pair with your favorite top! Our extensive bottoms collection includes styles such as flared corduroy pants, embroidered miniskirts, high-rise distressed jeans, wide leg flowy pants with tie waists, maxi skirts with button detailing, denim and suede skirts, striped shorts and so much more! With so many different styles to choose from, we’re sure you will find pieces that flatters your body and fits your style! Complete your bohemian style outfit by bringing back the 70s with a pair of flared jeans from Amuse Society, by bringing spring vibes with a floral embroidered skirt from Lost + Wander, or by staying true to your athleisure style with Joah Brown’s leggings that are both luxurious and extremely comfortable! Furthermore, BitterSweet’s collection of dresses ranges from casual and comfortable t-shirt dresses, perfect for a day full of sunshine and wine tasting, to jaw dropping flirty and stunning cocktail dresses, to classy and chic maxi dresses for unforgettable events. Our collection of dresses are chic and elegant while also maintaining an edgy, trendy, and boho vibe! BitterSweet Boutique dresses are easy to wear and effortlessly stylish! Complete your boho chic look by pairing your favorite BitterSweet dress with a pair of our boho fashion dangle earrings and adding a little bling to your fingers with our chic style rings!